Small private family ranch needs a ranch hand / land caretaker to manage all aspects of the property on a daily basis. Our ranch is a simple operation with 15 to 20 cows, a few horses, older barns, and a dog. 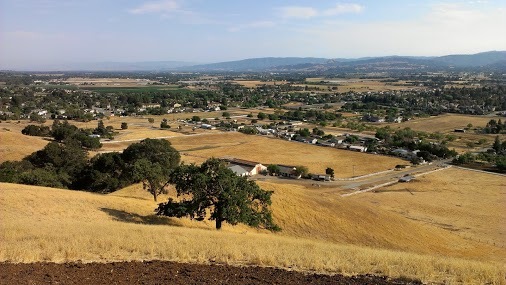 We are located in Morgan Hill, CA, which is Northern California near San Jose and San Francisco. • Animal Care – Daily feeding and care of animals as well as cleaning. • Fencing – New construction of barbed wire as well as a residential no climb fence. Maintenance of older barbed wire fencing. • Water Management – Maintenance of water for animals as well as property, including troughs, water lines, irrigation, etc. • Handyman – plumbing, electrical, concrete and carpentry repair work as well as building shade structures. • Operate Machinery – Such as tractors and landscape machinery, tools, and riding mower. • Individual Requirements – Highly motivated, honest, dependable, hardworking, non-smoker, and able to work with little to no supervision. English is required. Must be able to follow instructions and communicate effectively with ranch owners. Flexibility is a must. Rarely but sometimes, there are urgent situations like a calf being born, or an illness, or a broken water pipe. Please note this is not a horse operation. Taking care of the animals is important but it is only a small portion of the day. The rest of the day is oriented more towards manual labor projects. Includes $1300 a month gross salary plus a private residence and free utilities. Position is suitable for an individual or a couple. Background check will be run. If you are interested, I look forward to speaking with you to determine if this is a fit!